Sorsogon (Bikol: Probinsya kan Sorsogon; Filipino: Lalawigan ng Sorsogon), is a province in the Philippines located in the Bicol Region. It is the southernmost province in Luzon and is subdivided into fourteen municipalities (towns) and one city. Its capital is Sorsogon City (formerly the towns of Sorsogon and Bacon) and borders the province of Albay to the north. Sorsogon is at the tip of the Bicol Peninsula and faces the island of Samar to the southeast across the San Bernardino Strait and Ticao Island to the southwest. Sorsogueños is how the people of Sorsogon call themselves. In 1570 two Augustinian friars, Alonzon Jiménez and Juan Orta, accompanied by a certain captain, Enrique de Guzmán, reached Hibalong, a small fishing village near the mouth of Ginangra River, and planted the cross and erected the first chapel in Luzon. It was from this village that Ibalong, referring to the whole region, came to be. Moving inland with a northwesterly direction they passed by the territory now known as Pilar, before they reached Camalig, Albay. The establishment of the Abucay-Catamlangan Mission later was ample proof of this. The early towns established here were: Gibalon in 1570 (now sitio of Magallanes); Casiguran – 1600; Bulusan – 1631; Pilar – 1635; Donsol – 1668; Bacon – 1764; Juban and Matnog – 1800; Bulan – 1801; Castilla – 1827; Magallanes – 1860; Sorsogon – 1866 and Irosin – 1880. The province was eventually separated from Albay on October 17, 1894 and adopted the name Sorsogon. The town of Sorsogon was also selected as its capital. 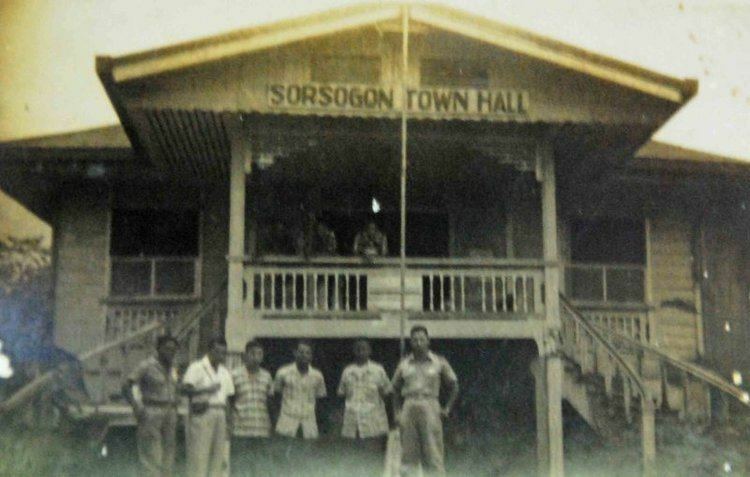 On the 1935 Philippine Constitutional convention, Sorsogon had its own delegates. They were Adolfo Grafilo, Francisco Arellano, José S. Reyes, and Mario Gaurino. In 2000, Sorsogon City was created through the merging of the municipalities of Bacon and Sorsogon. Sorsogon covers a total area of 2,119.01 square kilometres (818.15 sq mi) occupying the southeastern tip of the Bicol Peninsula in Luzon. The province is bordered on the north by Albay, east by the Philippine Sea, south by the San Bernardino Strait, and west and northwest by the Ticao and Burias Passes. 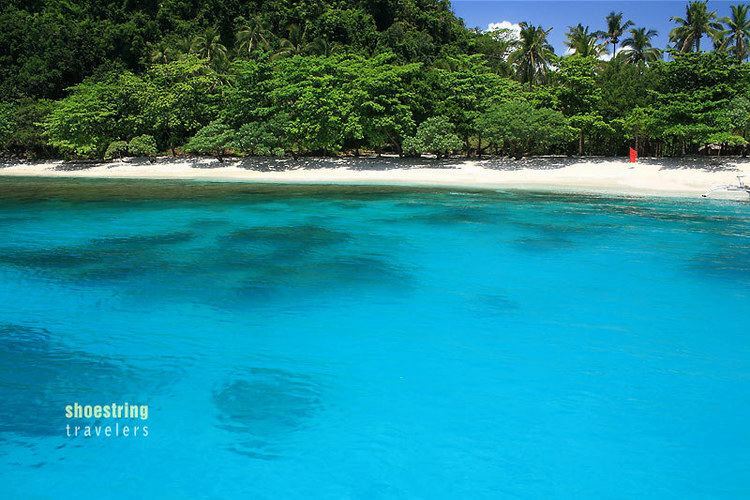 The Sorsogon Bay lies within the central portion of the province. The province has an irregular topography. Except for landlocked Irosin, all the towns lie along the coast. They are all connected by concrete and asphalt roads. Mountains sprawl over the northeast, southeast and west portions. Mount Bulusan, the tallest peak, rises 1,560 metres (5,120 ft) above sea level. Except for its overland link with the province of Albay to the north, it is completely surrounded by water. Sorsogon is the gateway of Luzon to the Visayas and Mindanao through its Roll-on/Roll-off ferry terminal facilities located in the municipalities of Matnog, Pilar and Bulan. Sorsogon comprises 14 municipalities and 1 city. The population of Sorsogon in the 2015 census was 792,949 people, with a density of 370 inhabitants per square kilometre or 960 inhabitants per square mile. The top 5 towns with the most number of population is Sorsogon City (168,110), Bulan (100,076), Pilar (74,564), Gubat (59,534), and Castilla (57,827). The least populated municipality since the 2000 census is Santa Magdalena. Of the 704,024 household population in 2007, males accounted for 51.1% and while females compromised 48.9%. The voting-age population of the province was 369,204 in 2007, equivalent to 52.1 percent of the household population. The Bicolano language predominates in Sorsogon as a language used by its people. English and Filipino are the official languages used in education and various forms of communications. But Bicolano, as used in this province has some peculiarities. What is known as "Bikol Naga" is used in written communications and generally understood as a spoken language. However, there are Bikol languages peculiar to certain specific places. For example, people in Bacon, Prieto Diaz and Magallanes speak the Albay Bikol variant. 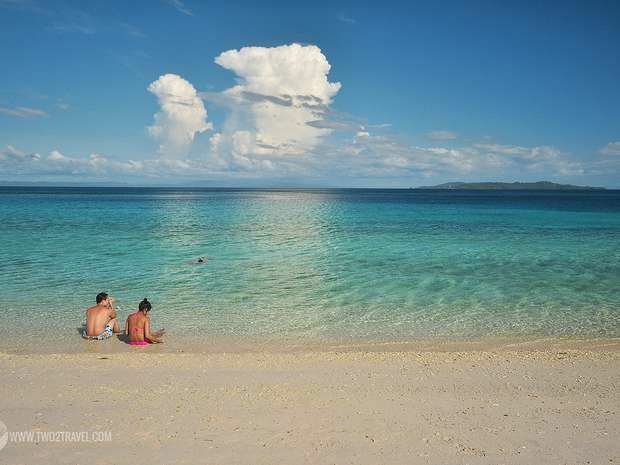 In Sorsogon City, Casiguran and Juban, Bicolano is slightly different for some of the terms used are similar to Hiligaynon, which is mainly spoken in Western Visayas, Negros Island Region, and southwestern Masbate. Barcelona, Gubat, Bulusan, Matnog, Irosin and Santa Magdalena speak a dialect which uses terms and tones similar to the Waray-Waray of Eastern Visayas (especially that of Northern Samar). The people of Pilar and Donsol speak a dialect similar but not exactly alike to the "Miraya Bicol" or the dialect spoken by the nearby towns of Camalig and Daraga in Albay province. The Castilla dialect is the same as that of Daraga. Sorsogon is predominantly a Catholic province. Spanish conquistadores gave Sorsogon its first encounter with Christianity. This was in the year 1569 when Fray Alonzo Jimenez, OSA, chaplain of the expedition under Luis Enriquez de Guzman celebrated the first Mass upon landing on the coast of sitio Gibal-ong (or Gibalon), barangay Siuton, in the town of Magallanes. Christianity, however, was formally established in Sorsogon with the planting of the Cross on the shores of Casiguran town in 1600 by the Franciscan Friars. This was a prelude to the erection of the first church building dedicated to the Holy Rosary, still revered at present as the Patroness of Casiguran. From there, the Franciscan missionaries devotedly spread the faith to the other towns in Bacon (1617), Bulusan (1630) and Donsol (1668). The other twelve towns followed suit in the course of time. In the original geographic division, the province of Sorsogon formed part of Albay province. It seceded as a separate province on Oct. 17, 1984. Catholicism is followed by 93% of the population of Sorsogon. The Diocese of Sorsogon was originally part of the Archdiocese of Nueva Caceres. When it was made a separate diocese on June 29, 1951, it included the territory of Masbate. When the Diocese of Nueva Caceres was elevated into an archdiocese in the same year, Legazpi and Sorsogon were made suffragan dioceses of Nueva Caceres. On March 23, 1968, Masbate was made into a separate diocese. At present the Diocese of Sorsogon covers simply the civil province of Sorsogon and the City of Sorsogon. The province's economic activity is highly concentrated in its capital city, Sorsogon City, and the towns of Bulan, Irosin, Gubat, Pilar and Matnog as well. Sorsogon Province is classified as 2nd class with an average annual income of ₱339.4M (C.Ys. 2000-2003). This is about ₱11M short for the province to attain 1st class reclassification which requires at least ₱350M average annual income. The province had a great contribution on the 97-percent growth in investments for the first quarter of 2008 and increasing tourism arrivals that buoyed the Bicol Region economy, despite the damage brought about by incessant rains and a rice shortage. This is according to the Quarterly Regional Economic Situationer (QRES) released by the National Economic and Development Authority (NEDA) Regional Office in Bicol (NRO 5). Sorsogon belongs to Type 2 climate based on the Climate Map of the Philippines by the Philippine Atmospheric, Geophysical and Astronomical Services Administration (PAGASA). Being a Type 2, Sorsogon has No dry season with a pronounced rainfall from November to January. The province of Sorsogon normally gets 5 to 10 typhoons every year. The most notable typhoon is in 1987, when Sorsogon was devastated by Super Typhoon Nina named Sisang. It was a major disaster in the Province of Sorsogon. Damages in properties cost million of pesos, and killing 200 people. It is said that Sisang is the strongest typhoon that hit the Province, especially its capital, Sorsogon City. According to PAGASA, Typhoon Nina ravaged with a wind of 180 kilometers per hour and a gustiness of 200 kph. Thousands of houses plus business establishments were destroyed by the said natural calamity. Typhoon Sisang hit the Sorsogon soil at around 7:00 pm and it last until dawn of the next day. it also caused massive storm surges particularly around the Sorsogon Bay area which contributed to the many fatalities during the battering of the typhoon. Typhoon Xangsane (Milenyo) also battered the province in September 2006 with torrential rains and strong winds. It caused massive flooding and caused infrastructure and agricultural damages. Damages to the entire province was initially placed at ₱2.23 billion, of which ₱1.27 billion was accounted for by damaged houses. Agriculture suffered damage worth ₱234.21 million; school facilities, ₱51 million and infrastructure, ₱208 million. Most of the inhabitants of the province belong to the ethnolinguistic Bicolano and Bisakol groups. Sorsogueños are religious, being mostly Roman Catholics, and are active in festivities celebrated throughout the year. Each town honors their Patron Saint with celebration on its Feast Day. In Sorsogon City, the locals celebrate the Fiesta of the Patron Saints Peter and Paul every June 28–29 annually. Another featured attraction during town fiestas are the traveling carnivals set up near the town center. In Gubat, the feast of Gubat is celebrated on June 13. Kasanggayahan Festival — celebrated in the whole province in the last week of October, commemorates the founding of Sorsogon as a province. Festivities include a series of cultural, historical, religious, agro-industrial and economic activities, showcasing the province’s abundant agricultural products, particularly food and decorative items. 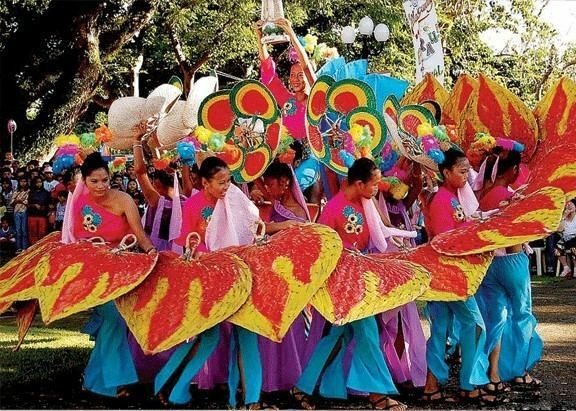 Pili Festival — in Sorsogon City, honors the Pili nut and tree which is indigenous to province. 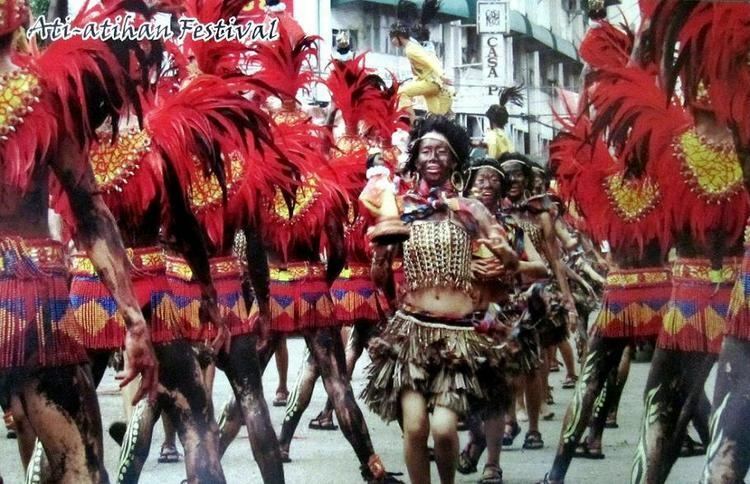 The festival coincides with the town fiesta of Sorsogon City. Celebrations include street dancing by locals donning pili nut costumes, cooking competitions, fireworks displays, and even a nutcracking session along the road by the locals. Parau Festival – Pilar, Sorsogon celebrates Parau Festival every October. The Festival coincides with the town fiesta of Pilar. Events include Inter-High School Sportsfest, DLC Competition, Parau Street Dancing Competition, Color Run, Palarong Bayan. Sorsogon is subdivided into 2 Congressional Districts. The 1st Congressional District comprises the City of Sorsogon and towns of Pilar, Donsol, and Castilla. 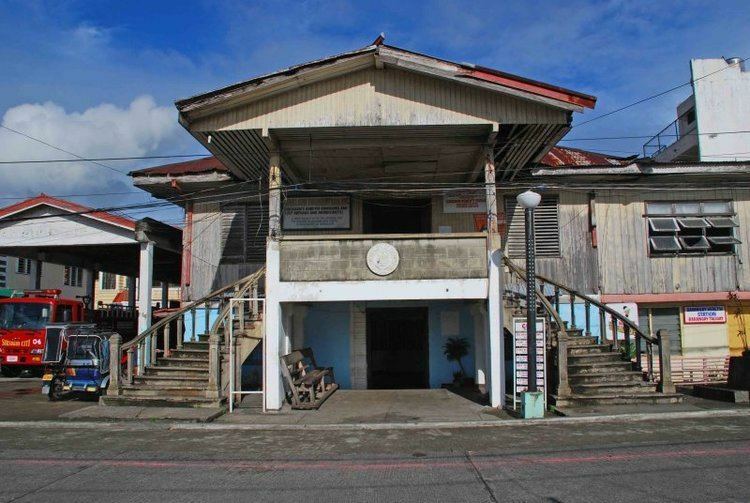 The Sorsogon Provincial Capitol is located in the City of Sorsogon.